The Hanging Hills have a new ep out which has received some well deserved attention from CTINDIE and Bob D. at Connecticut Rocks. 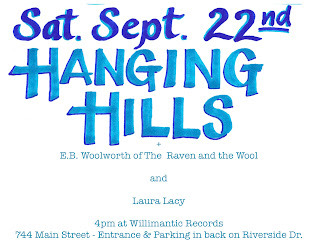 They will be returning to Willimantic Records on Saturday for their third performance here since we opened in February. 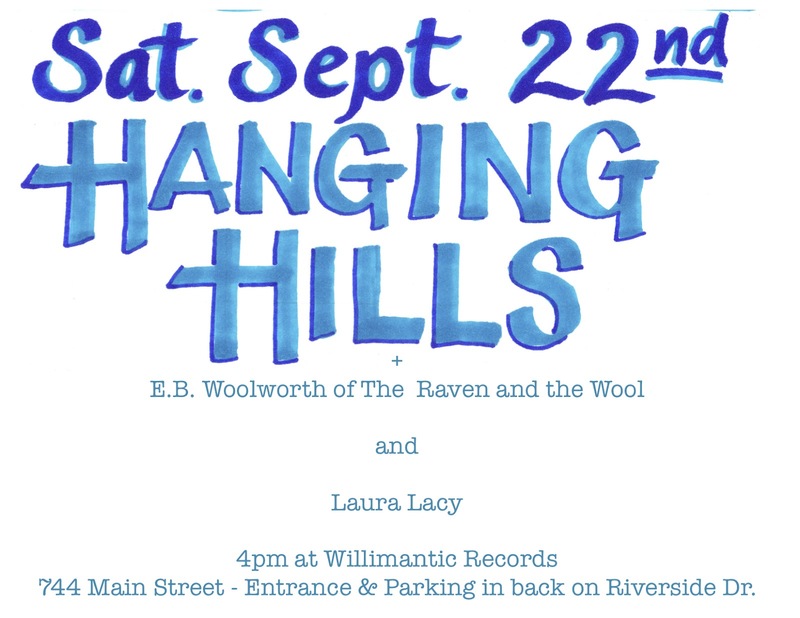 Also appearing will be The Raven and the Wool's singer E.B. Woolworth, and Laura Lacy (her fourth time here at the shop). The show starts at 4pm. As always, there is no admission charge, but donations to the musicians are welcome.